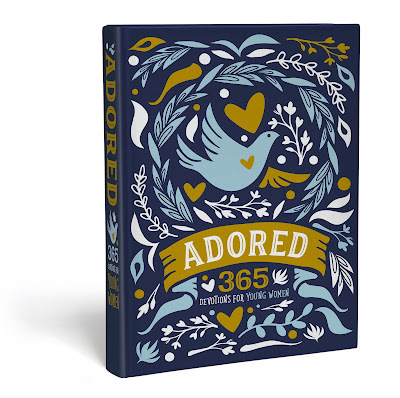 Adored: 365 Devotions for Young Women is a wonderful book that includes a daily short scripture, devotional message, and a place for journaling. Each devotion contains no date, so you can start at the front of the book or wherever you would like to start in the book. The devotions are relevant to many difficult things young women face everyday from bullying, social media, friendships, dating and more. It is recommend for young women, ages 13 and older but I think even the preteen age group would enjoy this. 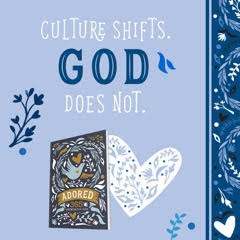 I am even gifting this to my preteen niece for Christmas because I think she will greatly enjoy this devotional book. There are so many battles young women face and sometimes at this age group, I feel like it can be hard for someone to talk to. I love how this book is a daily reminder of how much we are Adored and loved by God, no matter what we are going through. It also gives young women an opportunity to write down and express what they are feeling. In a busy world, this devotional book in a matter of five precious minutes gives quiet time with the Lord. I know when I have quiet time, no matter what goes on that day, I have that constant reminder that the Lord is fighting for me. I would highly recommend this book. It would make a special gift for a niece, friend, daughter, granddaughter, or maybe even a Sunday School student or youth student. I'm excited to see how much my niece will love this! “Disclosure (in accordance with the FTC’s 16 CFR, Part 255: “Guides Concerning the Use of Endorsements and Testimonials in Advertising”): Many thanks to Propeller Consulting, LLC for providing this prize for the giveaway. Choice of winners and opinions are 100% my own and NOT influenced by monetary compensation. I did receive a sample of the product in exchange for this review and post. Only one entrant per mailing address, per giveaway. If you have won a prize from our sponsor Propeller /FlyBy Promotions in the last 30 days on the same blog, you are not eligible to win. Or if you have won the same prize on another blog, you are not eligible to win it again. Winner is subject to eligibility verification. Giveaway is open to United States residents and will run from December 1, 2017 12:00 am to December 11, 2017 12:00 am.